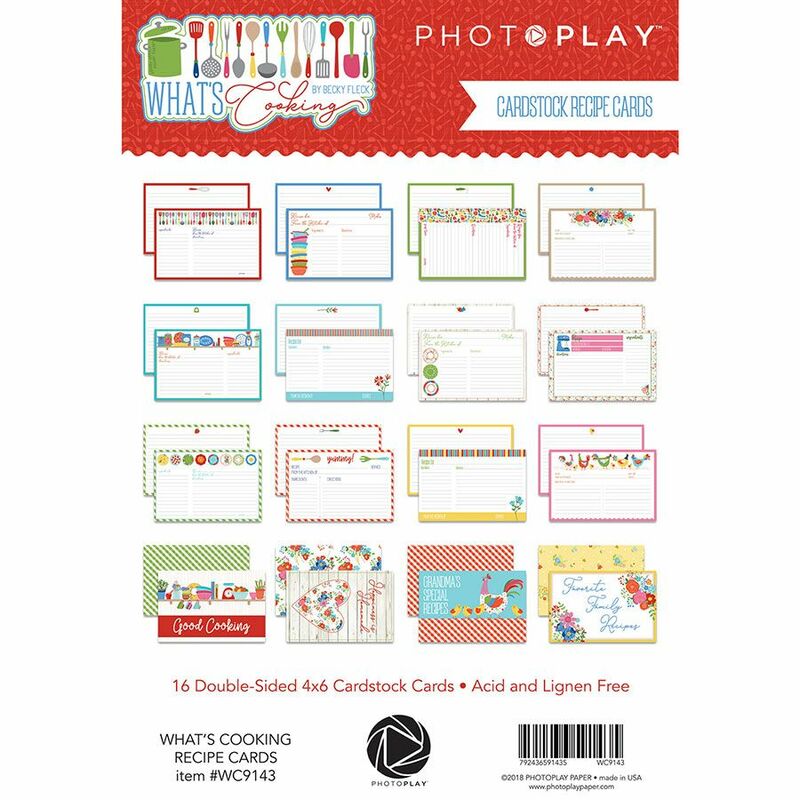 This package contains an assortment of sixteen (16) Recipe Cards all with different Designs & Images. Part of the What's Cooking Collection by PhotoPlay. Look for coordinating Embellishments & Designer Papers.